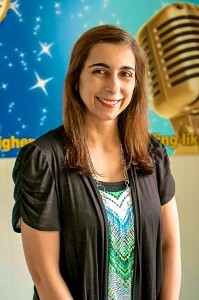 Carol Moody has a Bachelor’s degree in Communications from Florida State University where she majored in Media Performance and minored in Theater. She spent several years working in television news as a Producer/Reporter in Northern California. She is also a dance and acrobatics instructor. Carol does the choreography for our twice-yearly showcases to make each performance visually stunning. Her son Nicholas, an SLaS student of Tricia Grey, MM, is a rising star and is finding his own success, winning several talent competitions and landing lead roles in musical theater productions in the past year. SLaS vocal training has developed Nicholas’ voice from breathy and soft, to a powerhouse, in a little over 2 years. Now he is cast in almost everything he auditions for! To see what your child could sound like, click the link below to see Nicholas in our last Showcase!